News and Announcements regarding the website and forums, posted by the Admin. Information for newbies on what's required for signing up to use HNet Forums and information on using the forums. If you're new to our forums or have just been lurking without posting, here's a good place to make your first post by introducing yourself. 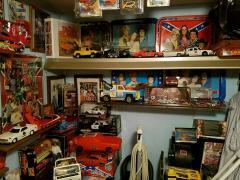 Tell us how big a Dukes of Hazzard fan you are! But remember, there IS such a thing as TMI (too much information). 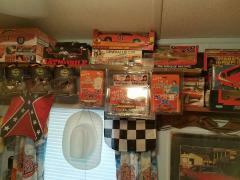 Dukes of Hazzard fans are the best and we like to celebrate them! Post messages and congratulations about the fan of the month! Easter Weekend is here. I hope everybody has a good one. Great point. 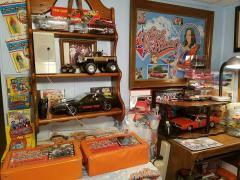 If you want to make a first impression here just show up with a General Lee. It's always a pretty effective dramatic entrance. RHoughton welcome to Hazzardnet! What a way to show up with a General Lee. Great find! I don't believe this was a car used on the show. As the guys pointed out above it has no vinyl top chrome trim and it also has wheel opening trim. The GL's on the show didn't have that. The rear wheels/tires are also wider than what was used on the show. The Charger emblem would have been removed. The side markers were removed in 1983 when Warner Brothers took over so if this was used on the show it would be from an earlier season. Thank you for the replies. We are going to have the interior fixed and get it safe to drive. Should make a fun car to drive around town. Uh oh. Looks like I've gotta update/redo the theme. I hope not. Thanks for the heads up.